The Concept hard hat is manufactured in ABS and is certified according to EN 397. Its short cap and its small volume create a perfect combination with the welding helmet. The helmet is also approved for use on or near parts under tension not exceeding 1000V AC or 1500V DC : responding to the EN 50365 standard. 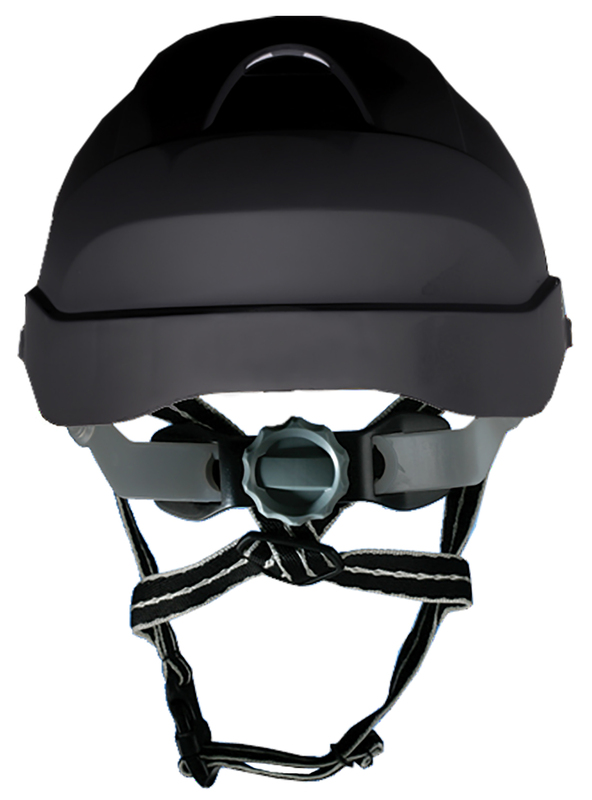 The headgear is suspended through 6 points on the hard hat for improved comfort and safety. The width is adjusted on the back, through a large and easily accessible knob, even with gloves on. The reinforced ratchet allows the complete set to be locked into position, and decreases the impact of the front overhang. 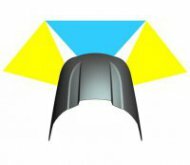 The helmet can be locked in the upward position thanks to two side mecanisms with reinforced metallic springs. The welder can then walk with the welding helmet lifted and with a perfectly clear vision, with no risk of helmet falling. The Navitek® is based on a large clear visor for perfect vision during grinding. The Navitek® shell and all its polycarbonates are certified for grinding with the specific standards EN 166 B and EN 175 B. 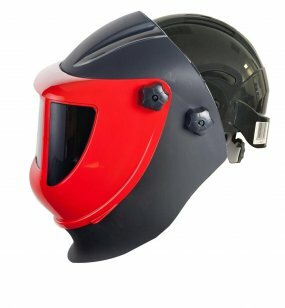 This large clear visor also provides protection to the operator during working phases over than grinding, while preserving the protection of the safety helmet. 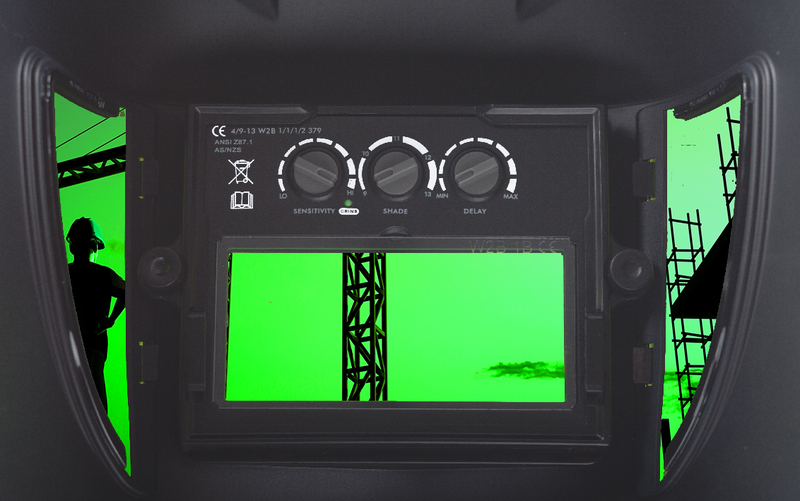 The side vision provides an additional safety feature thanks to the shade DIN 5 polycarbonate, these side vison enable the welder to expand his/her viewing area to 160°: ideal on construction sites or multiple risks areas. The shade DIN 5 is dark enough to avoid any dazzle risk from a nearby welding arc, ensuring full protection against UV and infrareds. 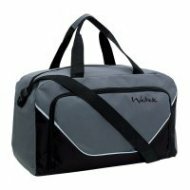 Each complete Shock helmet is delivered with its own storage bag. This bag provides a safe storage of the complete welding helmet combined to the safety hard hat, and easy storage of spare parts. 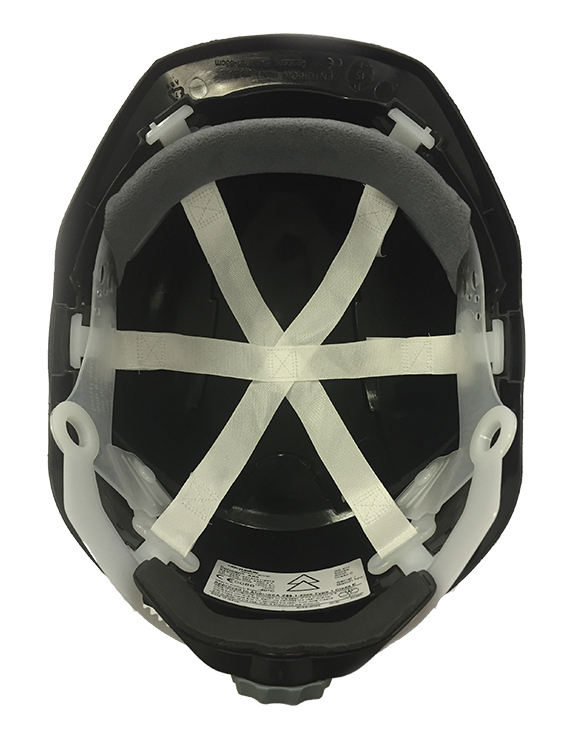 High visibility stickers are available to complete the Shock helmet for night use, and for secured and facilitated identification. The chin strap enhances the equilibrium and reduces the risk of dropping the Shock helmet, specially from higher workplaces. 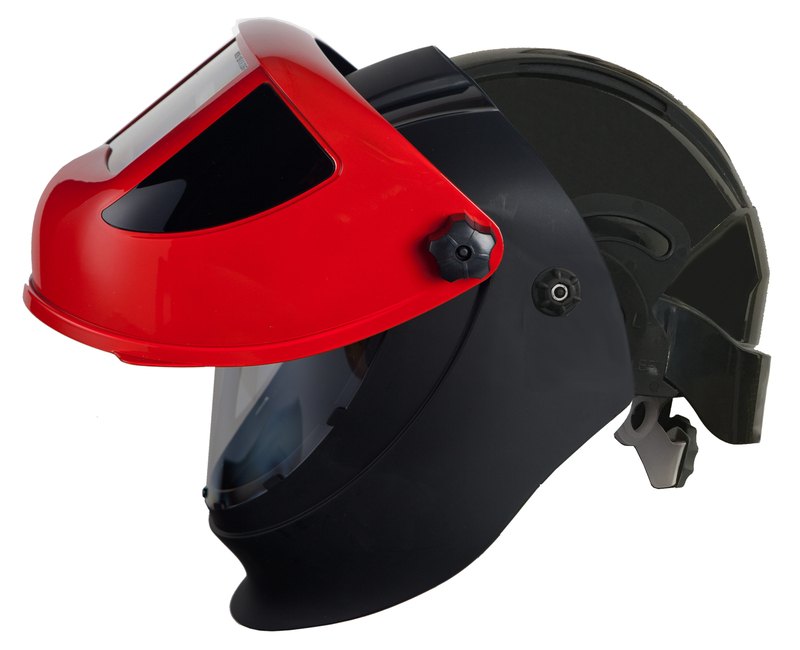 The Shock helmet can be branded, on the helmet shell, on the outside of the S4 autodarkening filter, and on the hard hat itself.